The following is an excerpt from Aaron’s project, I Can’t Apologize Again. To read and view in full, head to his website here. The phrases ‘toxic’ or ‘hyper’ masculinity are now used to describe characteristics I once revered simply as Man Law — a collective consciousness of rules, parameters and behaviors that have been taught and reinforced by generations, born out of a white patriarchal society which leaves little room for expression of love and often individuality. As Black men, when our masculinity is a topic of discussion, we immediately hit the panic button and fall into our default defensive stances. 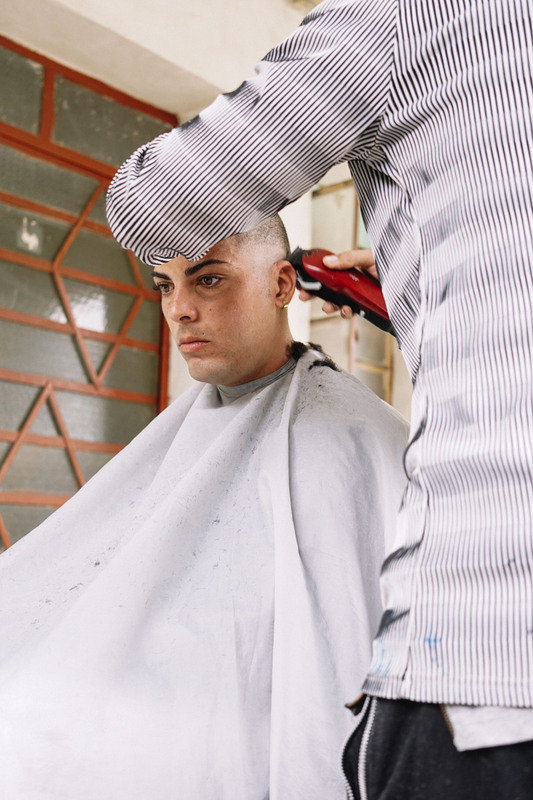 Through my work, I’m actively and continuously searching for ways to express the pros and cons of masculinity in order to pose an unshackled perspective. 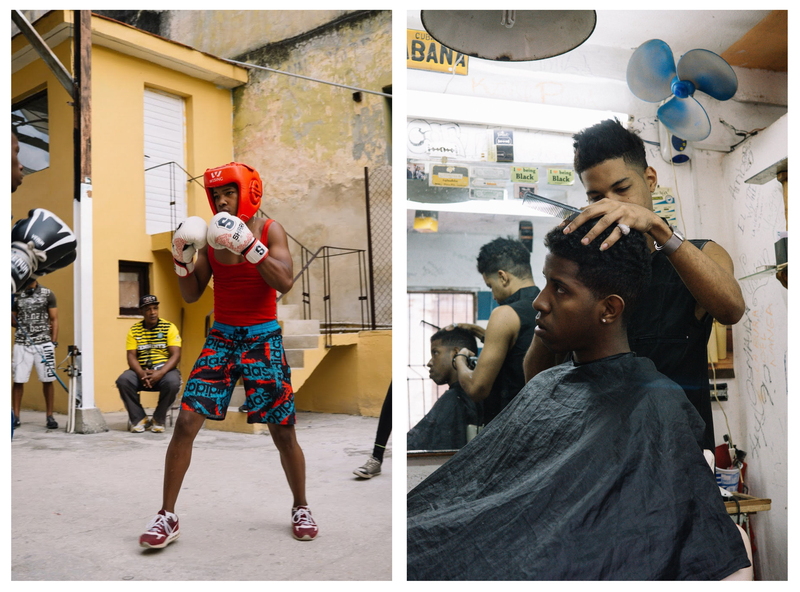 The expression of brotherhood I witnessed while visiting Cuba for the first time was noticeably much gentler and embracive than what I was taught in both my home, and on the corners of West Philadelphia. 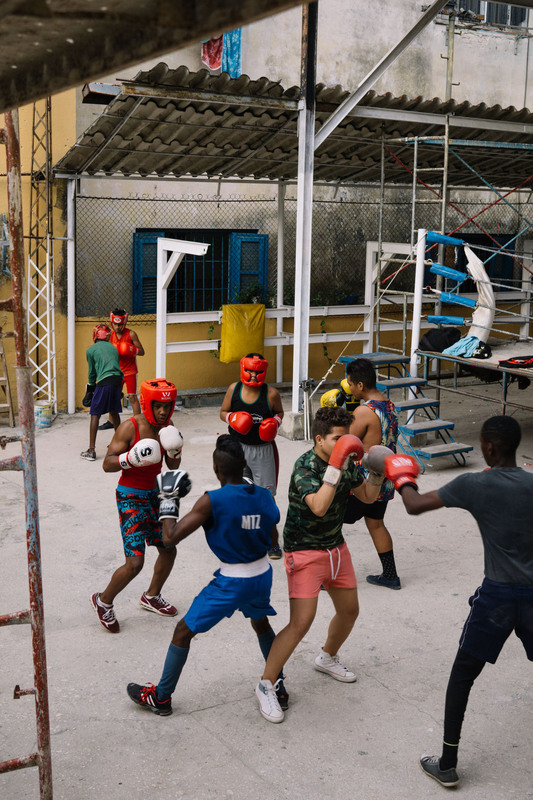 At the boxing ring in Old Havana, there was a moment when a boy in a camo-printed shirt injured his wrist, causing an overhaul of emotional support from fellow boxers and coaches — something I’ve never seen in any boxing gym, basketball court or sport institution in America. The gentle, loving behavior and reassurance I witnessed left me with an altered impression of the two sides of a warrior; one who can exhibit supreme strength and ferocity, and on the other side, generosity and love. Even in a sport known for its brutality, there was an equally intense level of care and embrace. Suppressing vulnerability has created a hardened delusion that not only forces men to mask their vulnerability with anger as a means of survival, but also devalues the power of vulnerability. I believe as men it is our responsibility to strengthen our bond and human experience by paying closer attention to our unique ways of showing love, and work to eliminate the divisive teachings that create barriers and limit our expression. Aaron Ramey / Aaron Babylon is an artist and visual communicator specializing in designing unique futuristic clothing, art, photography + styling. You can follow along with his work on Instagram, or by checking out his website here.